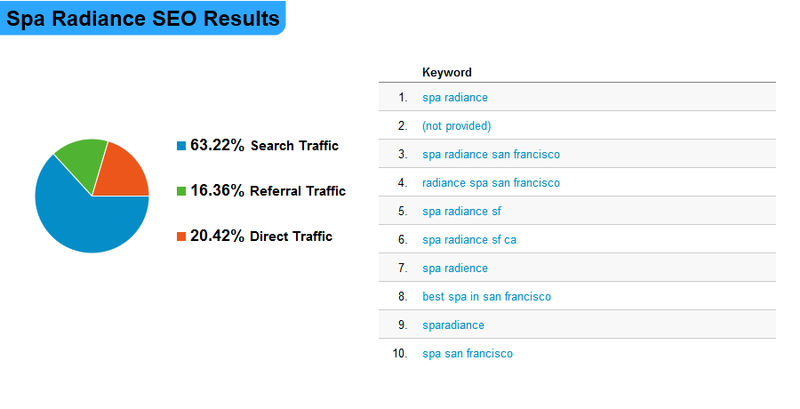 US SEO SEM has increased Spa Radiance's web traffic by more than 200% by moving the site up Google, Bing, & Yahoo rankings for relevent keyword phrases such as 'San Francisco Facials', 'Best Body Therapies San Francisco', & 'Best Massage San Francisco'. 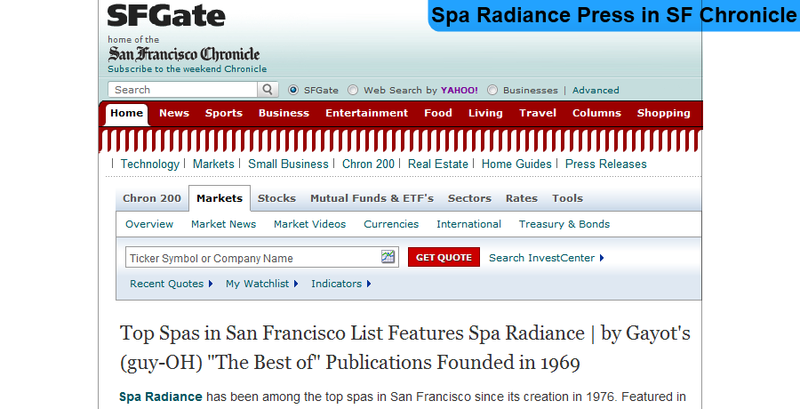 Additionally, US SEO helped Spa Radiance put out a press release about it's inclusion in a list of best spas in San Francisco. This press even made it into the widely distributed SF Chronicle's SFGate.com (See Spa Radiance on SFGate.com). 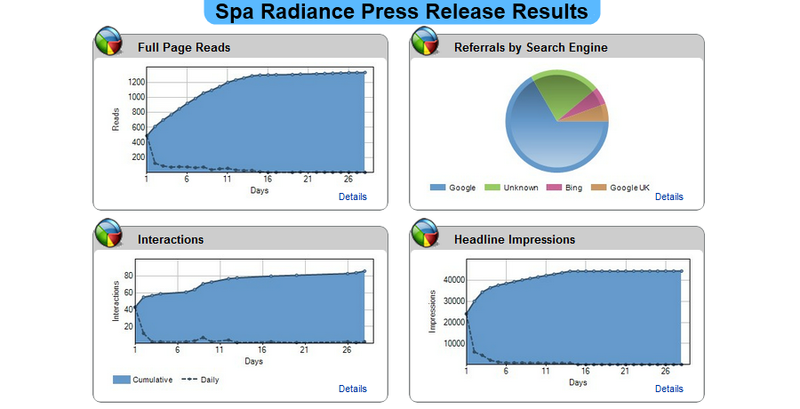 SpaRadiance.com has experienced unprecedented growth in almost all quantifiable SEO categories, including numbers of visitors, pageviews, and new visits.